It looks like Sony will be giving you the choice to pick one of the free games on offer every month with PS Plus. Now before you get all excited and run around the room with your clothes off shouting yipeee, the choice won’t be for any game but from what looks like will be a choice of three every month. 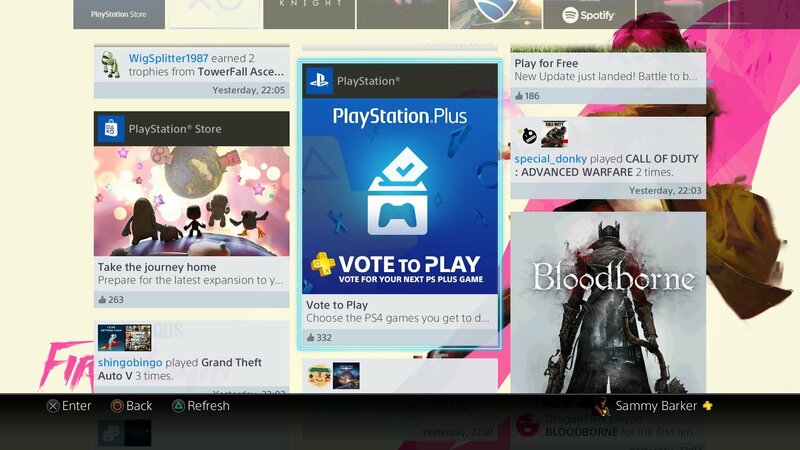 A trailer on the ‘What’s New’ section of the PlayStation 4 confirms that a new feature is on the way, allowing you to vote for which title you want to be given away for free. First games up for a vote look like it will be Zombie Vikings, Armello and Grow Home. No triple A titles but still some great games to choose from. The winner will be put up on the PS Store for free while the runners-up will be given discounts for PS Plus members. More is expected to be revealed about this from Sony in the next few days so stay tuned. Let us know what your choice would be from the games below.